CYNTHIA PAIK was fired after four months as superintendent of the Westminster School District in 2017. This week she was hired again into that position. In a stunning reversal, the Westminster School District on Thursday rehired as superintendent the same person they fired after just four months on the job in October 2017. 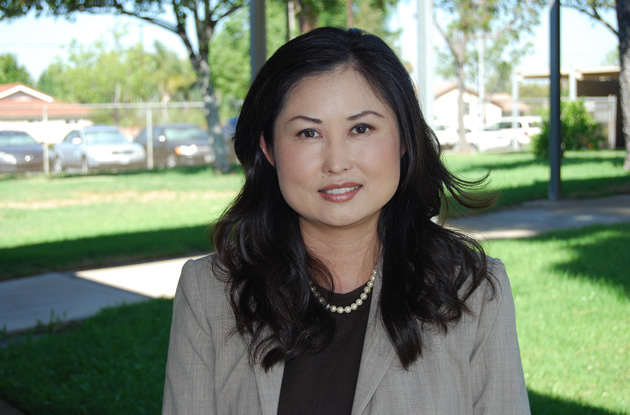 The “new” superintendent for the WSD, a K-8 district that serves most of Westminster and parts of Garden Grove, Huntington Beach and Midway City, will be Cynthia Paik. Paik started as the WSD’s top educator in May of 2017 and took over the job on July 1. The WSD fired her without making any public comment on the reason for her termination. Before being chosen for a second stint as superintendent, Paik has served as assistant superintendent of educational services for the WSD. Her appointment this week is the latest in the series of changes at the top for the district. Richard Tauer served as superintendent from 2010 to 2013 before he was fired. He was replaced by Kim Phelps, who left after three-and-a-half years to take a superintendent post in San Diego County. Paik was her replacement, and after her dismissal, Sheri Loewenstein and Gary Rutherford served as interim superintendents. In June of 2006, the WSD board voted to hire KimOanh Nguyen Lam as superintendent on a 4-1 vote, then rescinded the offer a week later. Lam was also a member of the Garden Grove Unified School District at the time and was employed as an administrator at California State University Long Beach.